DISNEY SANTA PAWS 2: THE SANTA PUPS!! Give-Away!! Ok, I am breaking my rule about not mentioning anything Christmas related until AFTER Thanksgiving because this is just too darned cute NOT to mention! When the nice people at Disney asked if I would join other bloggers in spreading the word and holding a give-away for my readers I was more than happy to do so! From the Creators of the Disney Buddies Franchise Comes the All-New Heartwarming and Hilarious Movie Starring the Most Adorable Talking Pups on the Planet! The story is full of holiday spirit and puppy mischief! Starring a brand-new litter of the cutest talking pups ever — Hope, Jingle, Charity and Noble — it’s perfect for the whole family. When Mrs. Claus travels to Pineville, the playful Santa Pups stow away on her sled. Taking mischief to a whole new level, they begin granting joyful wishes to Pineville’s boys and girls, but something goes terribly wrong — the Christmas spirit begins to disappear. Now the Santa Pups and Mrs. Claus must race to save Christmas around the world. From the creators of Disney Buddies, this magical, heartwarming tale is brimming with hope, cheer and Christmas spirit. This cute litter consists of three female pups and one male pup. HOPE is the daring tomboy who wears a backwards red cap and rarely looks before she leaps. JINGLE is the diva with a bell on her collar who loves to sing, but can’t carry a tune. CHARITY is the girliest and most self-centered of the pups, with a mistletoe barrette, who has yet to learn the meaning of her name. And NOBLE is the mischievous only brother and self-appointed leader who is distinguished by a cheeky black spot around his eye. “SANTA PUPS” stars Cheryl Ladd (Charlie’s Angels), Danny Woodburn (Mirror, Mirror; The Search for Santa Paws), Pat Finn (Spooky Buddies), Kaitlyn Maher (Treasure Buddies, The Search for Santa Paws), Josh Feldman (The Closer), George Newbern (The Father of the Bride), Obba Babatunde (Broadway version of Dream Girls) as human characters. The pups are voiced by Marlowe Peyton (Applebaum) as Jingle, Tatiana Gudegast (Spooky Buddies) as Hope, Aidan Gemme (Treasure Buddies) as Noble, and G. Hannelius (Treasure Buddies, The Search for Santa Paws) as Charity. And additional canines are voiced by Tom Everett Scott (Air Bud) as the voice of Santa Paws, Bonnie Somerville (The Ugly Truth) as Mrs. Paws, Richard Kind (Santa Buddies) as Eddy, the head elf dog, Trevor Wright (Air Buddies) as Baxter the scruffy mutt and Josh Flitter (Santa Buddies, The Search for Santa Paws) as Brutis, an unlikely friend for the Pups. The film is directed by Robert Vince, written and produced by Robert Vince and Anna McRoberts, original music is by Brahm Wenger (The Search for Santa Paws, Treasure Buddies), Animal Coordinator is Mark Forbes (We Bought a Zoo, Treasure Buddies) and the choreographer is Mark Swanhart (Cirque du Soleil, Celine Dion in Las Vegas). The film will be available for purchase at retail stores nationwide as a 2-Disc Blu-ray™ Combo Pack (Blu-ray + DVD) for the suggested retail price of $39.99 U.S., a 1-Disc DVD for the suggested retail price of $29.99 U.S., and via High Definition Digital for the suggested retail price of $39.99 U.S.. ENTER TO WIN!!! TWO LUCKY READERS (U.S. ONLY PLEASE) are going to win their own Santa Paws 2: The Santa Pups DVD! Just leave a comment WITH YOUR EMAIL ADDRESS…AN ENTRY WITH NO EMAIL ADDRESS WILL BE DISQUALIFIED!! Telling me why you would like to win this DVD! DEADLINE TO ENTER IS MONDAY, NOVEMBER 26th AT 5PM. WINNERS WILL BE ANNOUNCED WEDNESDAY, NOVEMBER 28th. We were not compensated for this post. We agreed to help spread the word about this adorable DVD and were thrilled to host a give-away for our readers when asked to do so. 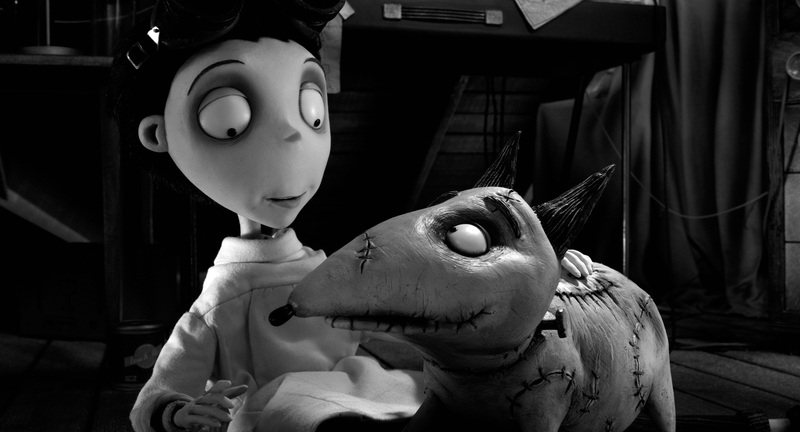 Disney Presents: FRANKENWEENIE, A film by Tim Burton, IN THEATRES OCTOBER 5th! I know, I know, it’s only August, but before you know it October will be at our door!! Mom and I were excited when we were contacted by Walt Disney Studios Motion Pictures. They wanted to tell us about their new film FRANKENWEENIE A Film By TIM BURTON of (Alice in Wonderland, The Nightmare Before Christmas) fame! They asked if we would tell you about this film and we are happy to oblige. The movie is about Tim Burton’s OWN relationship with his childhood dog, (Sparky). Mom is also going to be attending an advanced screening in our area and when she goes we will be sure to tell you all about it!! I sure wish that I could go! We were not compensated for this post. However, the advanced screening will be free. Mom is greatly looking forward to it!